Susan was very friendly and helpful. She is the best. 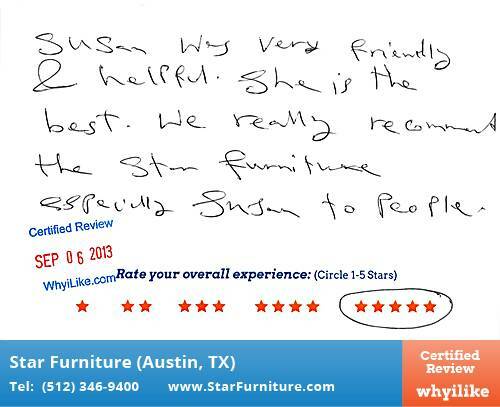 We really recommend Star Furniture especially Susan to people.